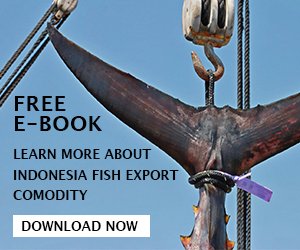 Yellowfin Tuna Loin Supplier Indonesia, Catfish, Tuna Fish, Carrageenan, etc. 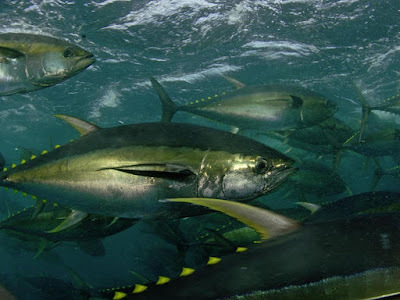 If you are searching for yellowfin tuna loin recipe then you might want to try these recipes that we have here that are easy to make. You can find various methods used to cook the tuna loin as the yellowfin loin is very versatile to use. 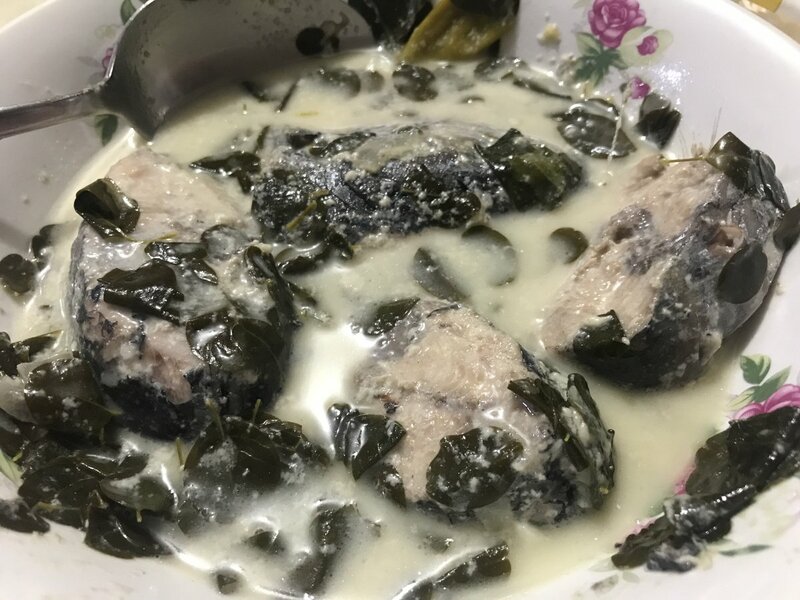 Let us take a look at the recipe that you should try and cook by yourself here. - Garlic 1 clove then crush it. 1. Take the tuna loin then cut it into 4 pieces steak size shape meat. 2. Take a fork then prick the loin surface. 3. Take a shallow dish, and then put the tuna loin line up on the dish. 4. Take a small bowl, and then pour in the soy sauce, oil, lemon juice, lemon peel, Dijon mustard, as well as garlic. Whisk them all to mix and create the marinate liquid. 5. Pour the marinate liquid into the dish with tuna then cover it using plastic wrapper. 6. Leave the dish inside refrigerator for one up to three hours long. 7. When ready to cook, you need to preheat the grill in medium heat setting. 8. Take a brush, and then lightly brush the oil into the grill’s grate. 9. Take out the tuna from the refrigerator then take out the tuna loin from the marinate liquid. Remove any excess liquid by shaking the tuna loin. 10. Take a saucepan then pour inside the marinate liquid. Turn on the stove then boil the marinate liquid. After the marinate liquid is boiling, turn down the stove setting to shimmer it for around 10 minutes. 11. 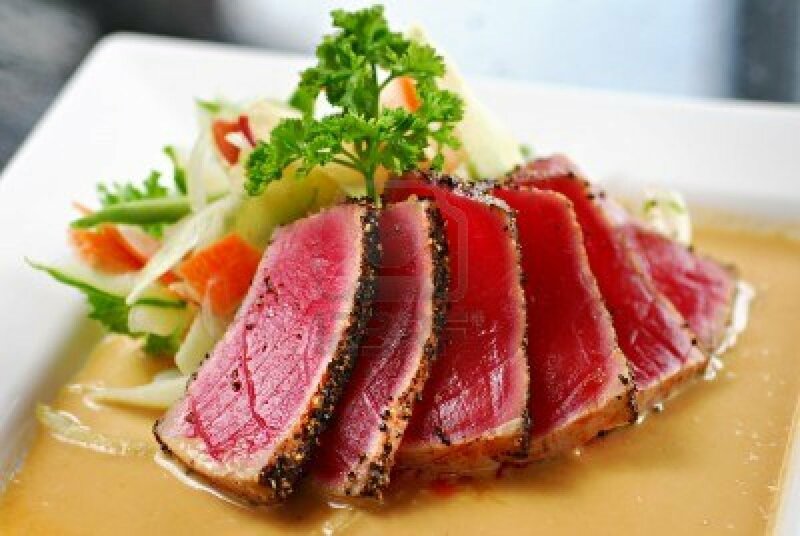 Afterwards cook the tuna loin on top of the grill while basting the surface of the tuna loin with the marinate liquid that you have prepared in the previous step. Do this step until the tuna loin is fully cooked. Usually it will take around five or six minutes for each side until the tuna loin is cooked thoroughly. 12. 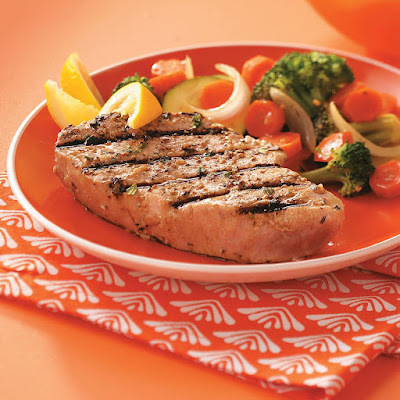 You can serve the tuna loin together with vegetable salad and garnish it using lemon wedges. 1. Before preparing anything, you might want to preheat the oven in 450 Fahrenheit temperature. 2. 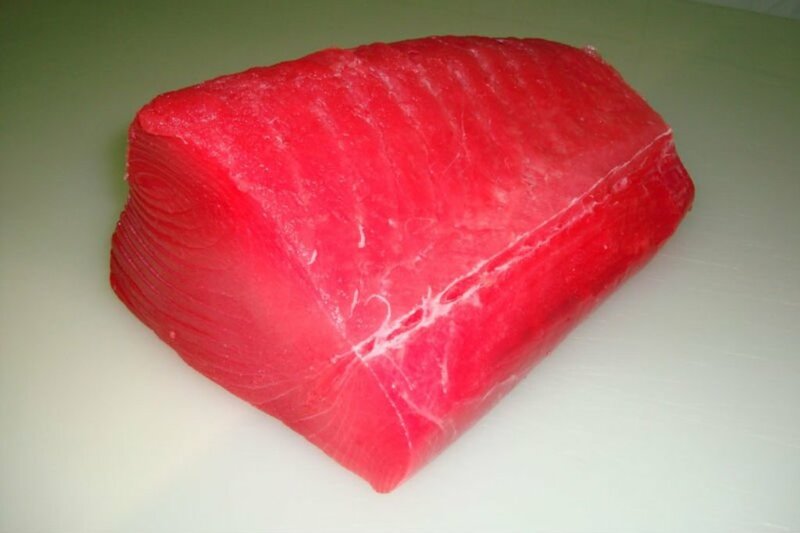 Take the tuna loin then cut it into smaller size steak shape with 1 inch thickness. 3. Take a baking dish then cover the surface using cooking sprayer to make it non sticky. 4. Put the tuna loin into the baking dish then season it using pepper as well as the salt. 5. Spread half the Asian splash on top of the tuna loin. 6. Turn the tuna loin and repeat step four and five to the other side of the tuna loin to season it. 7. Put the baking dish uncovered into the oven to cook the tuna loin. It will take around eight until ten minute long to cook it with medium rare doneness. 1. Take the tuna loin then cut it into two pieces of steak shape. 2. Season the tuna pieces using cayenne pepper as well as salt. 3. Take a skillet then heat it in medium heat setting. 4. Pour in the olive oil inside. 5. Add the butter into the skillet and wait until it all melt into the olive oil. 6. Add the peppercorn inside the skillet so it will become soft and then pop which usually take around 5 minutes to do. 7. Put the tuna pieces into the skillet then cook it with the doneness of your liking. For rare doneness, it will take around one and a half minute to do. 8. 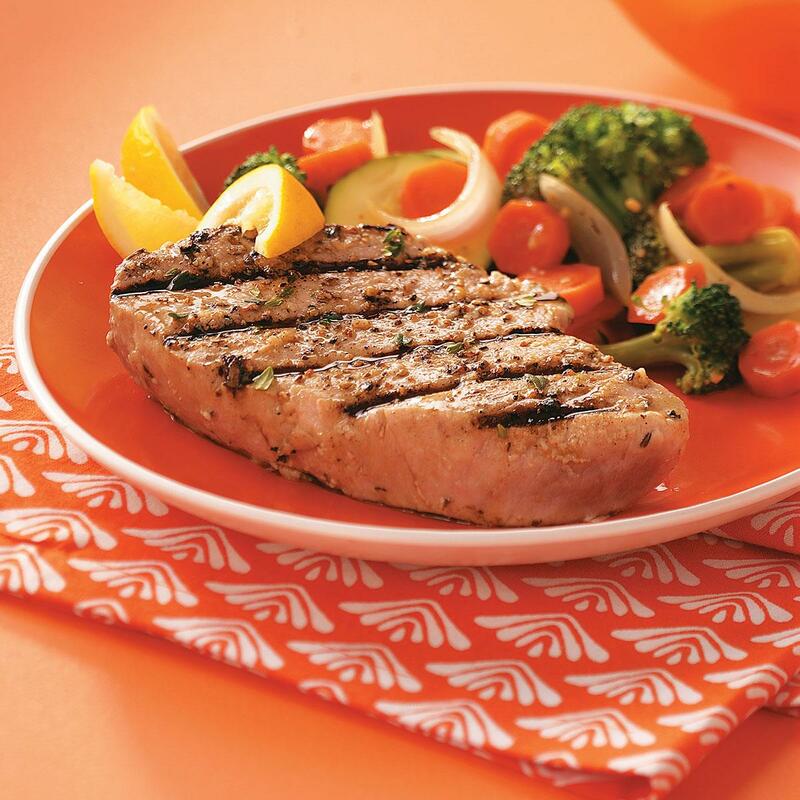 Take out the tuna and serve it with salad or other side dish of your liking. 1. Take the tuna loin and cut it into smaller pieces. 2. Pan fried the tuna loin pieces which usually take around 1 minute for each side. 3. Take a pan then heat the cooking oil inside. 4. Sauté the onion and garlic. 5. Put inside the ginger julienne then continue to cook until the onion is soft. 6. Add the coconut cream then stir to mix all of the ingredients and continue to cook it until the coconut cream is boiled. 7. Take another pan, then put the tuna loin pieces that already been fried inside. 8. Add the coconut cream into the tuna loin pieces then covered the pan. 9. Cook the tuna loin pieces for around 12 minutes using medium heat setting. 10. Put the ampalaya leaves into the pan then cook it again for around 3 minutes while covered. 11. Put the chili flakes and stir to mix them all. You can skip this step if you do not like the food to be spicy. 12. Serve the tuna loin ginataang. Those are the best yellowfin tuna loin recipe that you should try and cook using many kinds of method that you love. 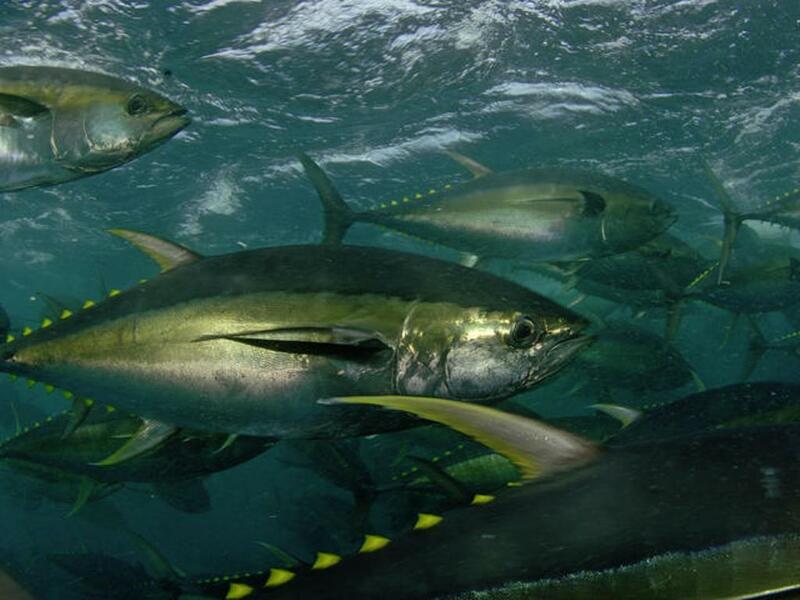 The yellowfin tuna has neutral taste, thus it actually can be season using any kinds of spices or herb that you love. 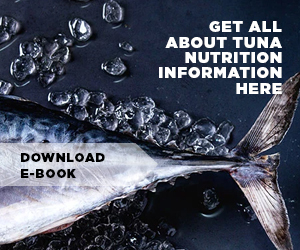 So all you need to do is to be creative with your cooking and try to cook the tuna loin using any kinds of seasoning that you love.